It does exist! 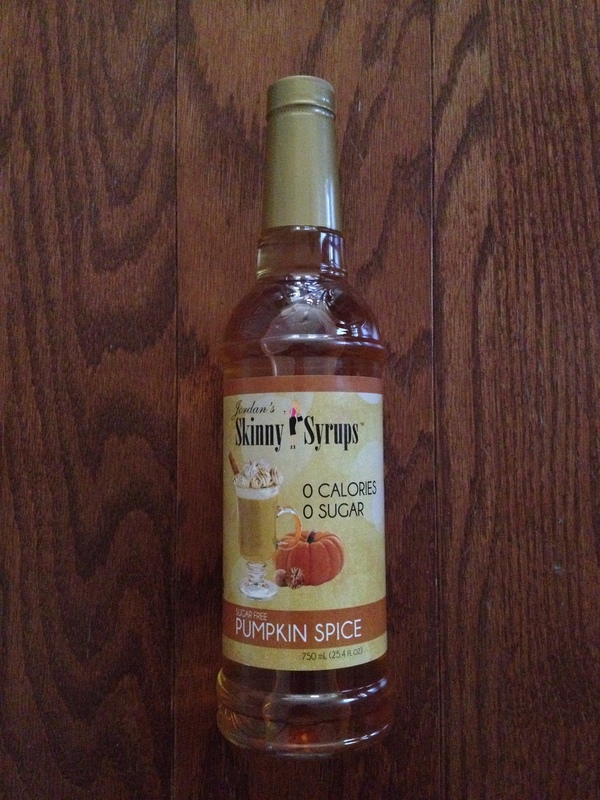 I’d heard rumors about sugar-free pumpkin spice syrup but had not spotted this rarely seen creation in all of my many meanderings through T.J. Maxx grocery aisles … until now. I found this lone bottle tucked away behind the vanilla and hazelnut flavors on the top shelf in the Tupelo store (which is one of my favorite T.J.s, with its smattering of good-zip-code designer finds and a truly breathtaking hair and skin-care section). Not sure if I had broken into someone’s pumpkin-spice stash or if it had inadvertently been pushed to the back, but I grabbed the pumpkin-spice and put it in my cart immediately, under the jealously watchful eyes of two other shoppers who were not as quick. Or fast. Or, perhaps, pumpkin-spice obsessed. Yeah, yeah, I know. I know that “pumpkin spice” is (brilliant) marketing and mostly has nothing to do with actual pumpkins. I know that Starbucks and other retailers have wiggled their way into my head and made me lust after cozy & rustic & warming pumpkin stuff I didn’t even know I wanted. (Candles! Lotions! Pringles!) I know that no actual real pumpkins are harmed in the making of almost everything claiming a connection to our favorite orange squash. And yet. Here I am drinking pumpkin spice coffee and eating a pumpkin spice muffin with pumpkin butter, thinking about lunch with pumpkin beer to go with pumpkin salsa and pumpkin-seed crackers. I may need an intervention. But could you wait until Christmas, please? I’ve got a bunch of pumpkin soup leftover in the fridge.